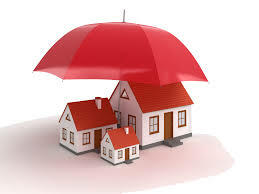 We all think that we have home insurance, and there is nothing to worry about. If you have lived long enough you have probably learned that this is not the case. There is a whole lot of fine print that none of us reads until it is too late. See below for some areas of your insurance policy to investigate. Termites can do severe damage to your foundation if colonies — which can range from 100 pests to up to several million — invade your home. Paper, wood and decomposed plant material that are’ in close contact with soil or dirt near your home will provide termites with a source of food and entry to your home. Moisture accumulated around the foundation and in crawlspaces that have poor ventilation can provide a water source for the termites to survive on. Termites can destroy support beams and other wood in your home. If termites enter your home and cause damage, don’t expect your homeowner’s insurance to cover the cost of repairs. As sewer lines rapidly age, more homes are being hit with sewage backups due to out-of-date sewage lines. Other causes of backups are pipelines that handle storm water and raw sewage, and blockages from tree roots that find a path into sewer-line cracks. If a sewer backs up into your home, it can damage and ruin flooring, furniture, walls and your electrical system. Your homeowner’s insurance will not cover the cost of repairs. If you are looking for protection from sewer backup, consider extra insurance that can be used as endorsements to your current policy.